Welcome to another Star Wars Rebels briefing! 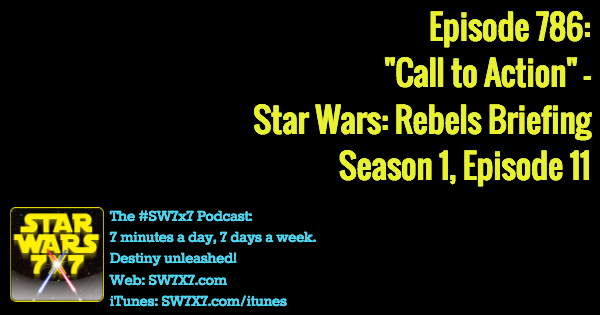 We’re coming up on the end of season one with “Call to Action,” the 11th of 13 episodes. 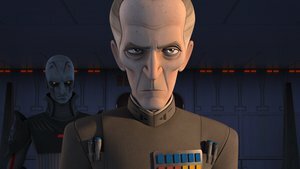 Governor Tarkin (pictured) has had quite enough of the Rebels on Lothal and the incompetence of the Imperials there, ripping into the local authority (Minister Tua), Agent Kallus of the feared Imperial Security Bureau, and the Sith-worshipping Grand Inquisitor upon his Lothal arrival. And in short order, he has the Inquisitor execute Commandant Aresko and Taskmaster Grint, to drive home the point that failure will no longer be tolerated. Minister Tua and Agent Kallus are shocked by this action, and while I myself wasn’t shocked, per se, I gotta say, this feels like a significant moment in the series. Aresko and Grint were almost comical in their way, and seemed a bit like … well … like Disney characters, if you will. Think Timon and Pumba, Mrs. Potts and Lumiere, but evil. Maybe Hook and Smee would be a better comparison. You get the idea though, right? They were intended to lighten the mood a bit, but by killing them, it’s as if the creators of Rebels have decided they want to tell us something much more serious about the time leading up to A New Hope. They want to tell us a substantial story. Here’s the full rundown on the episode if you want to dig into it. In short, Tarkin has probe droids sent out, one of them catches sight of our heroes near an Imperial communications tower, and Tarkin lays a trap for our heroes. Meanwhile, our heroes, still smarting from the Gall Trayvis betrayal we talked about in the last Rebels episode, decide to turn the tables and send out their own message of hope by hijacking the comm tower, which should have enough juice to broadcast to multiple star systems in the area. They get the message out, but at the cost of Kanan being captured. And Tarkin, rather than trying to get Imperial hackers into the tower to take back control of the signal, just has the tower bombed to the ground. This comes as a bit of a shock to Kanan, who realizes that Tarkin is someone who doesn’t mess around. We’re left on a cliffhanger, and have to wait for the next episode, “Rebel Resolve,” to discover Kanan’s fate. But he’s a main character, so you know he’s not going to get killed, right? Right. Today’s question: Who’s the first to spot the Millennium Falcon fleeing safely from Starkiller Base?